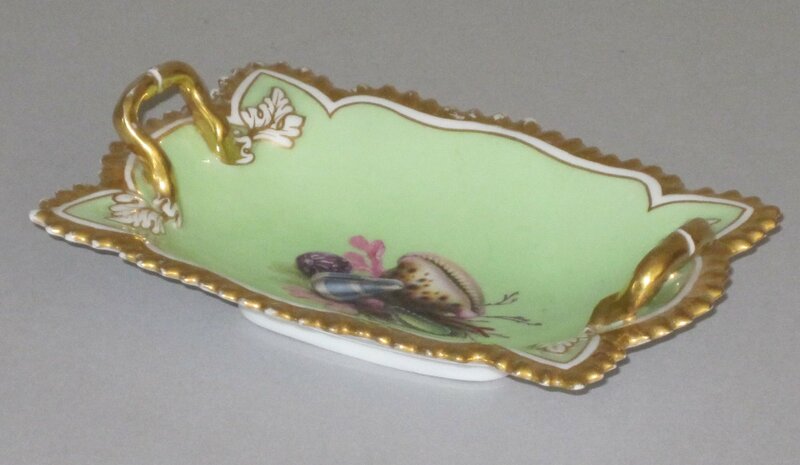 A FINE FLIGHT BARR & BARR WORCESTER PORCELAIN SWEET MEAT DISH OR PIN TRAY CIRCA 1813-19. Of small oblong dished shape with a gilded gadroon border and leaf mounted gilt handles. the centre finely painted with sea shells, seaweed & coral reserved on a pale green ground.